This guide has been created to help anyone interested in pursuing a career the Culinary Arts, Hospitality or Tourism industry. It is designed to give you some excellent sources on career development, trends and issues within the various hospitality fields, and an overall look at the hospitality industry. Use these call number ranges to browse the General Collection, Career & College Information Collection (CCIC), and the Reference Collection. Use the Library Catalog to identify books that the library has, as well as journal titles, trade magazines and videos about hospitality administration. Books and videos are excellent sources for background information on a topic. The following list are some sources to get you started researching in the field. Most books, videos and software in the general collection can be checked out and brought home with you for free. DVDs, Videos, and audio CDs can be checked out for 7 to 14 days depending on the video. Most books can be checked out for 28 days. The only books that cannot be checked out have the letters REF on the label on the side or front of the book. REF means the book is a Reference book and can only be used in the Library. Some items in the CCIC (College and Career Information Collection) may also be in-Library use only. You need a COD Library Card to check things out of the library. You can get a Library card at the Circulation Desk located near both entrances to the Library. Use this link to find the databases related to Hospitality careers, research, and trends. COD Library's Career and College Information can start you off when seeking information about a career choice or landing your first job. Hcareers has been the world's #1 job board for the restaurant & hospitality industry as measured by site traffic and the number of jobs and resumes online. COD's own Culinary, Hospitality Management & Tourism program can help with a career in the hospitality industry. The International Council on Hotel, Restaurant and Institutional Education (CHRIE) was founded in 1946 as a non-profit association for those involved in educating employees for the foodservice and hospitality industry. Members are schools, colleges, and universities that offer programs in hotel and restaurant management, foodservice management, and culinary arts. Check out the “Just for Students” pages. There is information on the HcareersCampus, a hospitality careers job database. ACF is a non-profit organization for chefs. It was founded in 1929 in New York City. The group works to promote a professional image of American chefs worldwide. Its focus is education, apprenticeship, and certification. There are more than 230 chapters and some 20,000 members in the U.S. Promotes education and research in the science and art of baking, bakery management, allied sciences, food processing sanitation and safety. AIFW is a non-profit educational organization with membership open to all. It was founded by chef Julia Child, winemaker Robert Mondavi, and others to improve understanding and appreciation of fine food and drink. AIFW encourages the exchange of information and ideas through conferences, publications, and chapter programs. The Guild is a non-profit group of professional bakers, baking educators, home bakers, and ingredients and equipment suppliers. The Guild’s goals are to support education and training of young bakers, communication between group members, professionalism, and recognition of excellence. Discounted student memberships are available. The IACP is a non-profit association that works as a resource for food professionals around the world. The association provides educational opportunities for its members. There is a Career Center with job listings. James Beard Foundation (JBF) is based in New York City. It is located in the former home of the famous chef and cookbook author, James Beard. JBF provides a variety of education programs and scholarships. Student memberships are available. Les Dames D’Escoffier (LDEI) is an organization of professional women who are leaders in the field. Members include chefs, restaurant owners, cookbook authors, food writers and publicists, wine professionals, culinary educators, and hospitality executives. There are currently 26 chapters in the U.S. and Canada. Check the website for the locations. Women Chefs and Restaurateurs (WCR) supports women in the field. It focuses on education and helping women advance in the industry. It was founded in 1993 by eight top women chefs and restaurant owners. Check WCR website for information on membership, scholarships, and job listings. Foodservice.com provides market price reports for beef, pork, lamb, poultry, seafood, dairy, produce, canned and frozen food, and others. Hospitality Financial & Technology Professionals (HFTP) the society for financial and MIS professionals in the hospitality industry. This site includes jobs and current issues of the society's publication, The Bottomline. National Restaurant Association includes information and links valuable to the Food Service and Hotel/Motel Management student. NRN Online The web site for Nation's Restaurant News, the newsweekly of the foodservice industry, offers news stories and features such as Food Trends, Chef Close-Up, and Digital Chef Recipes of the Week. 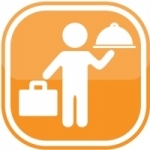 Restaurant Owner a business resource center for independent restaurant owners and operators. Restaurant Report is a free weekly e-mail newsletter that includes feature articles, reader feedback, restaurant industry news & links, pointers to other resources, and more, including the Top 100 Hospitality Sites. American Hotel & Lodging Association includes information and links valuable to the Hotel/Motel Management student, especially the Educational Institute (EI) and the American Hotel Foundation (AHF). Boutique and Lifestyle Lodging Association BLLA is an Association created to be the unifying voice of this distinctive, yet extremely fragmented sector, within the hospitality industry. Its goal is to unite the world's collection of boutique & lifestyle properties and the suppliers that sustain them, offering them the opportunity to successfully compete on a level playing field with major hotel companies. The Caribbean Hotel & Tourism Association is a Federation of Associations, encompassing 35 national hotel associations from around the region. The diversity that characterizes the federation of CHTA throughout the Caribbean offers its members the opportunity to benefit from the strengths of its colleagues from other countries and other national hotel associations. International Society of Hotel Association Executives (ISHAE) has a webpage linking to the various hotel associations in the different states inside the United States. Chicago Hotel Concierge Association is a professional association dedicated to supporting the professional and ethical growth of the hotel concierge community. The measure of a concierge is not only what they know, but who they know. The International Ecotourism Society (TIES) is on the forefront of the development of ecotourism, providing guidelines and standards, training, technical assistance, and educational resources. Travel and Tourism Research Association (TTRA) is a non-profit association whose purpose is to enhance the quality, value, effectiveness and use of research in travel marketing, planning and development. The Tourism Society is an organization for people working in tourism and travel, including educators and students, and others interested or involved in the visitor economy across all its sectors worldwide. U.S. Travel Association connects, promotes, advocates, and researches the diverse areas of the travel industry. The World Food Travel Association is the world’s leading authority on food tourism. The Association maintains an array of cutting-edge products and services that meet the needs of today’s food, drink, travel, hospitality and media professionals. American Gaming Association (AGA) opened its office in Washington, D.C., in June 1995 with the fundamental goal of creating a better understanding of the gaming entertainment industry by bringing facts about the industry to the general public, elected officials, other decision makers and the media through education and advocacy. Club Manager’s Association of America (CMAA) is a professional association for managers of membership clubs. It has nearly 7,000 members who run country clubs, golf clubs, athletic clubs, military clubs, and other types of private clubs. CMAA provides career services, student scholarships, grants, and more. Resort and Commercial Recreation Association (RCRA) is to develop and execute programming to keep professional recreators and educators in the know and on leading edge trends within the recreation industry.